I woke this morning, wondering about the subconscious. Does it play silly buggers in the space between our dreams while the conscious mind sleeps? Reminding me of while the cats away. Why does the conscious mind wake us in the middle of a dream for a bathroom break? What was it about that dream that you were not meant to play out? Was it something the conscious mind could make a reality? Are we saved by the two halves of us, even in sleep? Every thought causes a physical reaction. Do our thoughts play out in that space between dreaming, where we have no control? Could this explain some of the strange things that happen during the day? I have a feeling our subconscious mind could be a trickster, seeing as how it knows nothing about right or wrong. It works only with our thoughts as if they are made of plastic, moulding them as best it can to the thought received. A string of lights has a space between. Our dreams are the same, they come one after another, many forgotten by morning. Do they fall into the space between? Do they develop into something stranger? Is the space dangerous? Can another enter, stay with us and live alongside us? Is it the place we go when life is done and the lights go out? Could it be a dream tower where the text of our lives is written? If we could dream it, could we change the words. Rewrite our own text with words and thoughts to bring the desired effect? What if the space between is a playground where the future is written? We are halfway through the week and not yet free from the virus in this house. Just when we thought we had backed it into a corner, it seems to be having one last fling. There should be a sign on our front door, as we have been sneezing, coughing and aching ever since Christmas and we are at our wit’s end, wondering what we have to do to shake off the germs. The weather isn’t helping either, freezing cold and miserable. We try to keep working, more to keep our minds active than anything else, but all we really want to do is sleep. There was one very welcome high spot yesterday, when the letter from the hospital arrived, declaring me cancer free again for the third year since my treatment for breast cancer. So not all doom and gloom around here. PayBack, my WIP is ready to edit, but I am dragging my heels a little, not wanting to begin when feeling less than capable. I know it will be impossible to create any magic now. The pile of scribbled must do’s on my desk is getting higher, so I hope normal service will return soon before I drown in guilt! In readiness for the wonderful moment when I can think straight, I have been making sure all my story locations are in order and as accurate as I can make them. Despite feeling like death warmed over, I have been trying to get to the bottom of the Draft2Digital mystery. 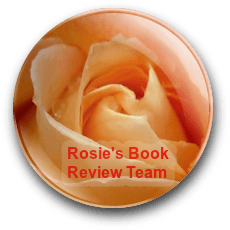 When we first joined them, we were impressed by how easy it was to upload our books and all their promises to help make promoting our books easier. I did wonder why we couldn’t access other people’s books, but put that down to my limited knowledge, figuring I would probably discover more as we went along. When several people reported problems getting our books, I had to find out for myself. An email to D2D didn’t provide any understandable answers. To try and figure out how it worked, I tried to buy one of Anita’s books from their site. It was hopeless. I kept being directed to iTunes, which turned out to be just as hopeless. I have never used iTunes much, and only recently found out they sold books. After much googling to find help, I found out about iBooks. To cut a long, boring story short, I think I have discovered that D2D is basically just for iPad or Apple users. I can access our books on iTunes, but can only buy them with an iPad. I think this is such a shame, even though the US market is huge so maybe not too bad in the end. We still needed to increase our book distribution though, so have started uploading our books on Smashwords. com. Ever since my mysterious visitor left me alone with my thoughts last week, I have been racking my brains, trying to place where I know him from and how to make workable sense out of his advice. But something else has been getting in the way. The dizziness in my head has been bad, and at one point, I worried about having a stroke. Coupled with the news that my cholesterol level is trying to break all records, I ended up wondering if there was any point doing anything. I have been having these dizzy days for a long time now, and they usually go away after a day or two, leaving me confused but back to normal. I was so glad when it finally stopped and my head cleared, that I found myself going through the WIP! I have actually come up with a solution, one that should get things moving again. I am so near the end now, it would be a shame not to finish it. I have isolated all of my protagonist’s chapters and will work only on these until I have the ending wrapped up. This idea occurred to me because the story of every character should be complete, with a beginning, middle and ending. If I can finish my antagonist’s story, making sure there are no gaps, holes or glaring mistakes, everyone else’s should fall into place around it. At least that’s the theory I have come up with. I might be barking up the wrong tree, but there is nothing else in my head, so I will have to go with it if only to see what happens. I have heard some weird ideas about other writers writing methods. Some start at the ending, others in the middle, so I’m hoping my idea isn’t as crazy as it sounds. What colour do you see yourself as? A little healing when my body is less than tip-top. Now the day ahead will work. To fill my mind and body with life. I am not known for, but I do try. When buying that lottery ticket. But do quite well with this. It is almost a hobby. The light of a full moon twenty-four seven. The other day that sounded like a very good idea. I didn’t think I could ever be that defeatist. All I need, I think is a slightly slower train. Have you ever wished that you could leap off the train that is rushing you towards oblivion? I have… so many times. Better to be moving, if only slowly, than stranded by the wayside, I thought. I continued trying to keep up, watching life thunder past me, while kidding myself that if I stuck at it for long enough, I had to reach a few glory moments. The only thing I learned, is that unless you change something, a detail here, a method there, nothing will change. Patience has almost been my downfall. I kept telling myself that I would catch up, I would manage to squeeze more work in if I just kept going and hoped for the best. Of course, nothing has changed. I spend my time checking emails, posting and checking social media. On the rare occasion I sit down and open my WIP, my brain refuses to work. Inspiration has deserted me and it was not a pleasant feeling. Trying to write interesting posts has become almost impossible, so I started cheating. Old posts were dug up and dusted off, but this didn’t help my mood. Depression nibbled at my heels. This mood continued, slowly spreading into other areas of my life. I told myself it was okay if I didn’t keep up the maintenance of my beloved bonsai. They were closing down for the winter anyway and didn’t really need me. Housework had been sliding, but I cheated there too. If I didn’t wear my glasses around the house, I couldn’t see the grime accumulating. Then the nibbling on my heels turned into a gnawing and I knew I had been kidding myself for long enough. It was time to stop hoping for the best. Time to pull up my socks and get cracking. Time to change my routine, find one that works and the time to do it in. There are so many ideas in my head, so many things I have yet to do. I am not ready to slow down yet, so I must learn how to work on a speeding train.